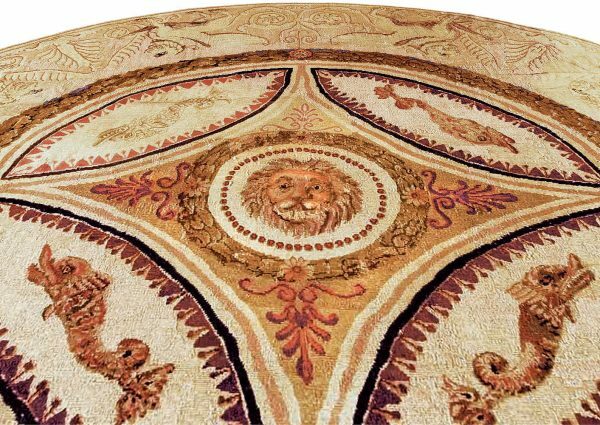 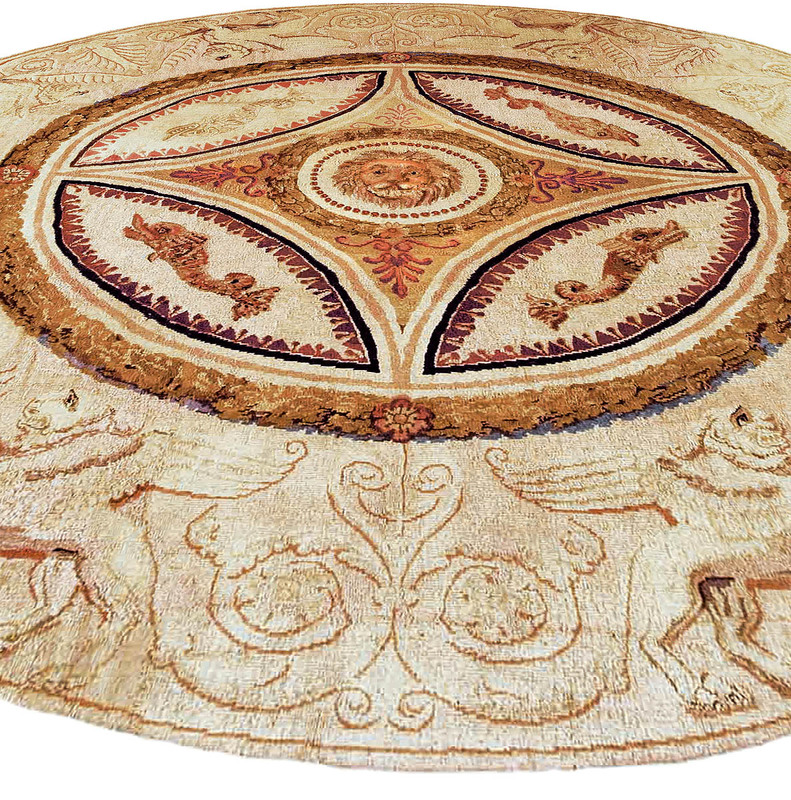 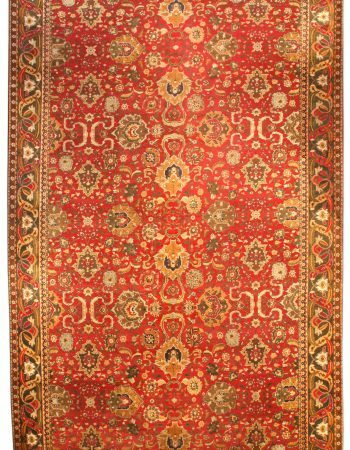 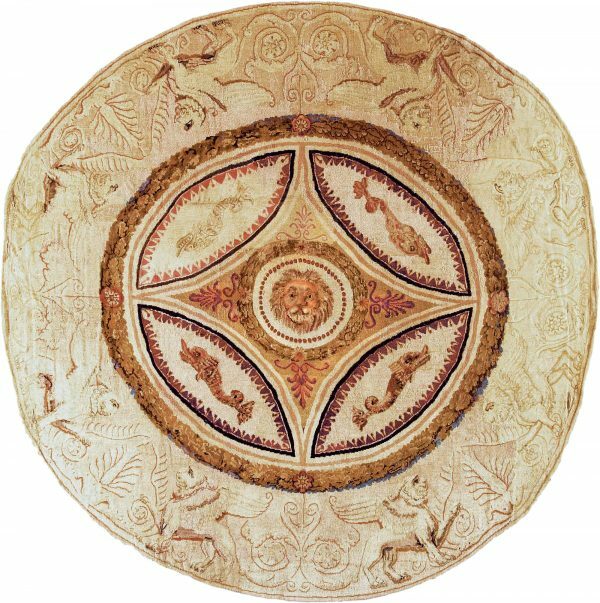 Around early 19th century English Axminster carpet of exceptional charm, the sand field with a golden leaf roundel containing four fish around a naturalistic lion head within a border of finely-drawn mythological animals, palmettes and vinery. 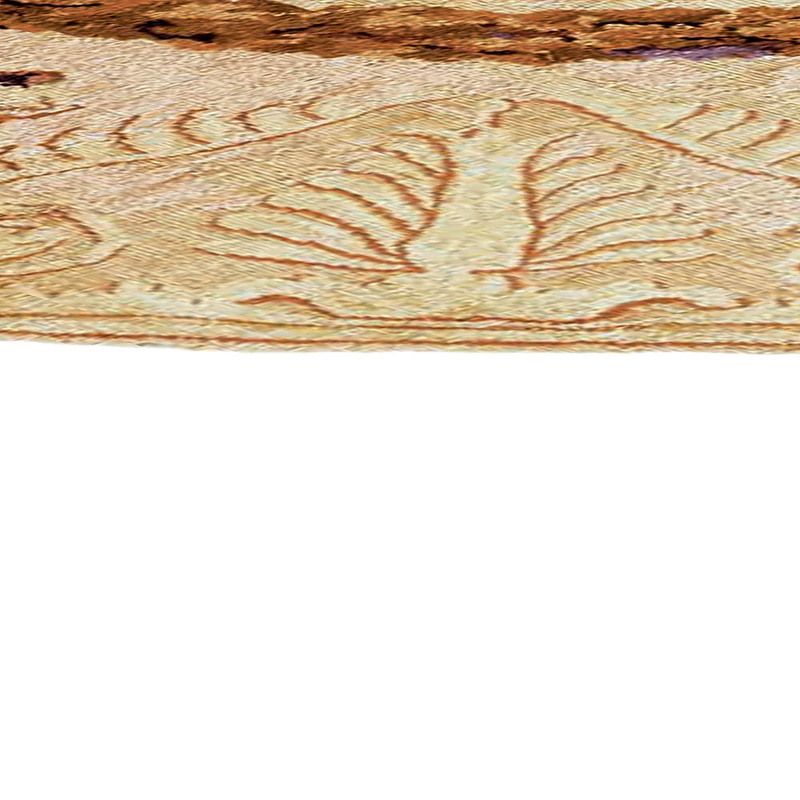 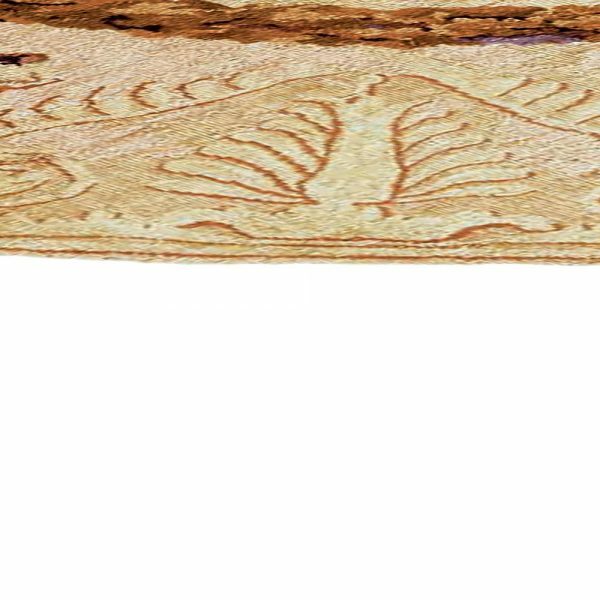 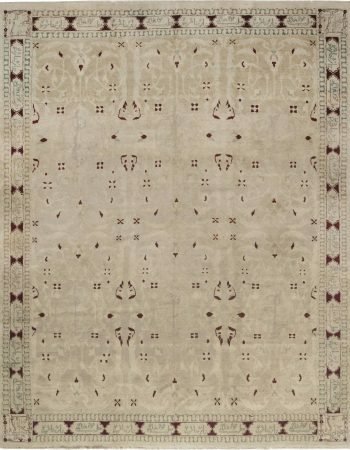 The history of the Axminster antique carpet started in 1755, when Thomas Whitty opened a carpet manufacturing company in the town of Axminster, in the county of Devon. 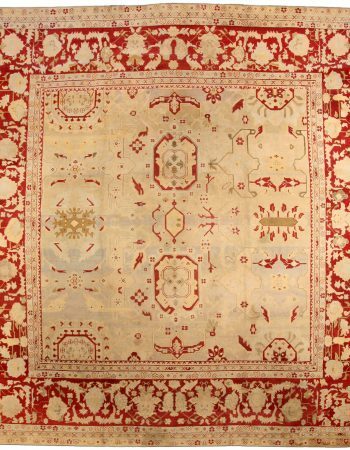 The development of carpet manufacture in England during this period was enabled by laws which were designed to promote locally produced textiles, out of concern that foreign textiles were dominating the market, particularly by the French Savonnerie carpets. 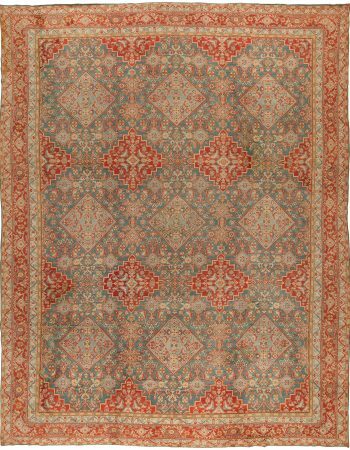 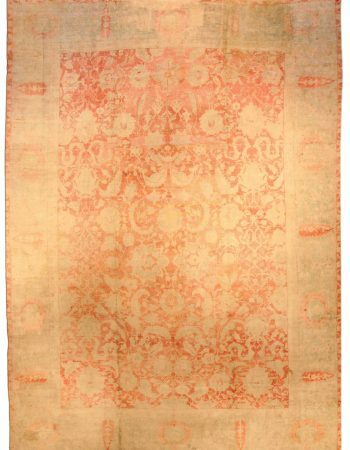 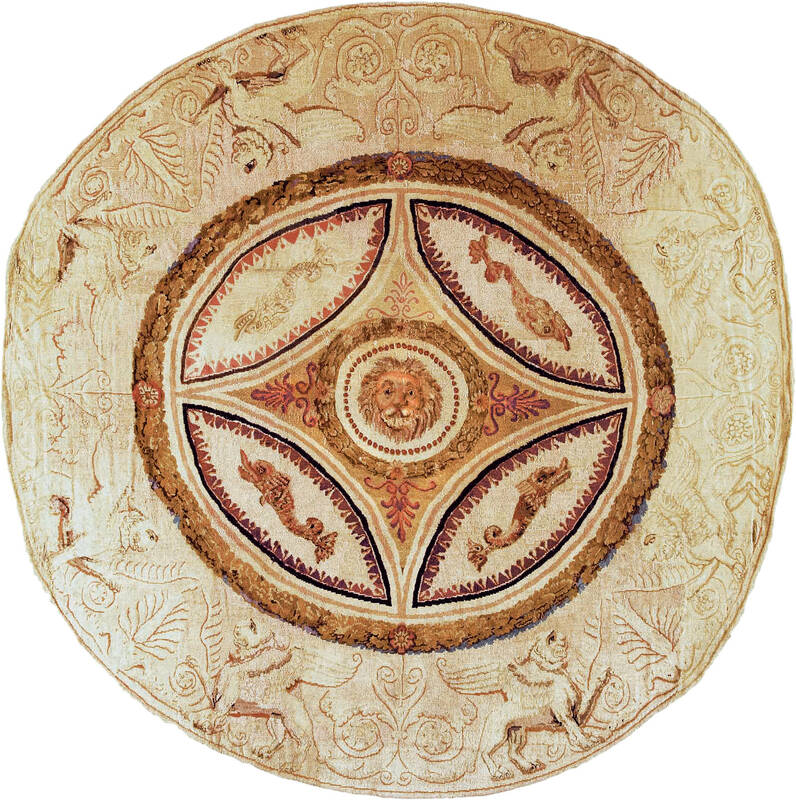 These early English Axminster rugs were hand knotted, and they quickly became the undisputed choice for wealthy aristocracy. 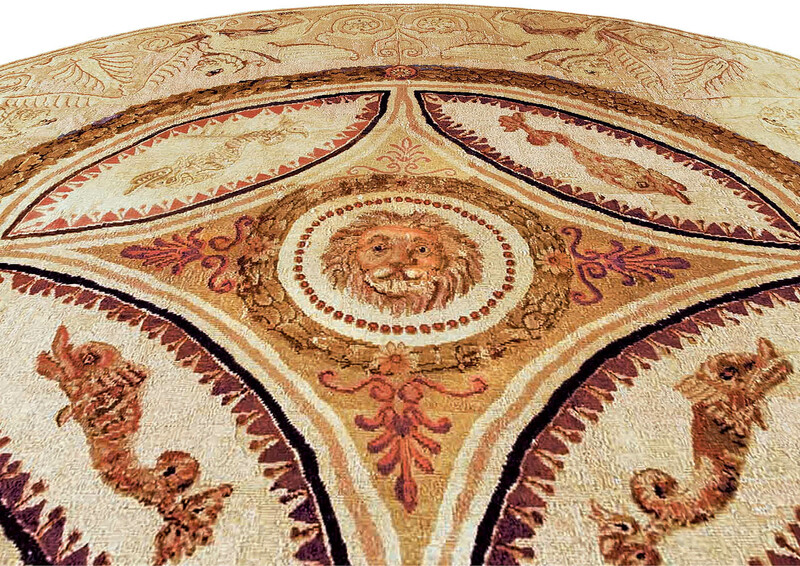 Antique Axminster carpets and other European rugs grace the floors of Chatsworth and Brighton Pavillion to name a few and were bought by George III and Queen Charlotte who visited the factory in the 18th Century.